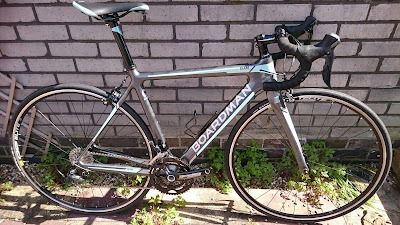 For my ride at the Etape Loch Ness I rode a Boardman Team Carbon Fi bike, kindly provided by Halfords. I had ridden older versions of this bike in previous years, and was happy with the geometry so I knew what to expect. There is the eternal debate as to whether a women's specific bike is necessary for women, but for me it’s a no-brainer. My legs are long in proportion to the trunk of my body, and bike geometry that caters to that gets my vote every time! 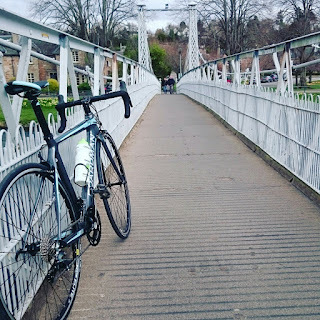 Having been apprehensive about my ability to get through the cyclosportive in a reasonable time, I believed that riding a light enough bike as well as low gears would be of significant help. As this would definitely be a case of riding a bike that would get me out of trouble a carbon fibre frame was the right option for me - a lightweight bike for a lightweight! 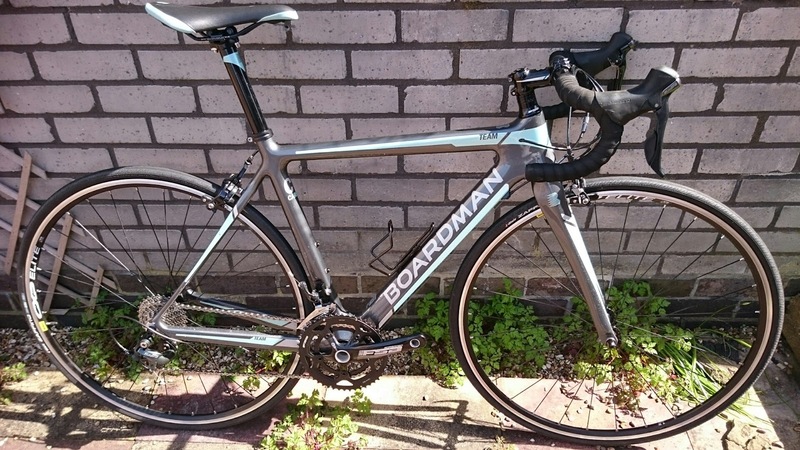 The price of this bike is surprisingly low at under £1,000, and that may partly be explained by the use of lower-end Shimano Tiagra groupset. Overall, the bike rode well, but sometimes I found the gear changing clunky compared with the old Shimano Ultegra that I have on my usual bike, and I worried I might break or jam something. But everything worked okay and all my fussing had been for nothing! Handling was good and the Team Carbon still had the sturdiness to hold the road even when it went over rough areas - of which there were a number of such sections, particularly in the first part of the route. Wheels are the standard for a Tiagra gearset, and tyres are Vittoria Zaffiro Pro. With 10-speed compact chainrings and a weight of 8.8kg I had what was needed to get through the 66-mile cyclosportive comfortably. The saddle is a Boardman women's-specific, though I would say, for a long ride it's best to get a saddle that suits you very well. A stock saddle was okay, but my derriere would probably have been happier seated on something it is more familiar with for a 4-hour+ ride! Saddles are a very specific piece of kit and while this saddle was okay for me, it felt different from my own usual women's specific saddle and it may suit some people more than others. I have ridden the Team Carbon on training rides and then last weekend it was the horse I used when visiting a friend in Wokingham, Surrey. In fact the route I took as far as Guildford (from where I then caught a train) was the same route as Day 1 of the London Revolution cyclosportive. It was a gloriously sunny day so I was glad to be once again riding in favourable conditions. I wasn't part of the cyclosportive, particularly as by the time I was setting off most of the participants had already passed by. However, I did see a lot of the support staff of the event that were looking after the backmarkers and slower riders. This route took me through the Kent and Surrey lanes which a lot of the local cycling clubs ride on any given weekend - Layhams Lane, Edenbridge, Lingfield, Horley, Ockley and then into the Surrey Hills via Ewhurst. If I wasn't visiting my friend that day I would have just signed up for the event as it would have been nice to do the whole thing with support from what appeared to be friendly staff and feed stations that were more like mini event villages with lots of facilities. This route was a nice training ride for me as I was tested both going uphill - the long drag up Layhams Lane, and the very steep Pitch Hill in the Surrey Hills plus Guildford Lane (St Martha's Hill) which was not part of the event, but I took it to get to Guildford. I was thankful that the bike didn't weigh much at these points and the gears were low enough to get me over the short 20% stretches. There were also the twisty descents of Titsey Hill, Okewood Hill and Pitch Hill to negotiate where you needed to have your wits about you. I had a lot of confidence in the Team Carbon and once again, it held the road very well on these sections. 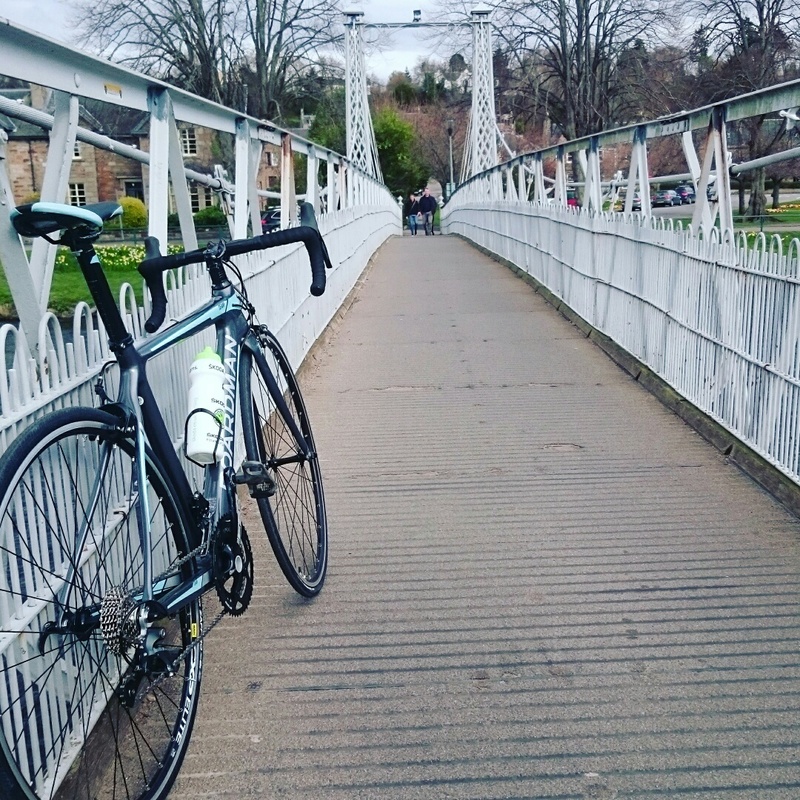 Overall, the Team Carbon is a good little bike for cyclosportives, which is what I have used it for in the past. I am sure it would be fine to race with as well as it has the lightness and quickness for you to be able to react quickly in the changing dynamic of the bunch during a race (though I haven't tested it in that setting). The Team Carbon is good value for money and a great buy as a first "serious" road bike. Check out the full specifications.